Kevin started his career in 1988 when he enlisted in the United States Marine Corps. While in the Marines he was a military police officer and a K9 handler. Kevin was honorably discharged in 1992 and began his transition into civilian law enforcement. He severed with the Kinston, NC Police Department from 1992 until 1995 when he returned home to Ohio to be closer to family. He continued his law enforcement carrier by working for the villages of Dennison and Port Washington from 1996 until 1998 when he was hired by the Canton Police Department. During his 20 year carrier with the Canton Police Department, Kevin has worked as a detective for the Stark Metropolitan Narcotics Unit, assisted in the creation of the Canton Police Department Gang Task Force, and served three years in the VICE unit. Kevin is committed to keeping drugs off the street and criminals in jail. Not only has he served in multiple counter narcotics units he is also a certified Clandestine Laboratory Technician. He has been responsible for locating and dismantling numerous methamphetamine laboratories throughout the area. Currently, Kevin is assigned to the patrol division where he works dayshift. Not only does Kevin work the streets he is also part of the US Marshals Service Northern Ohio Violent Fugitive Taskforce. Kevin loves action shooting sports and competes regularly in events including the National Patrol Rifle Competition, Rockcastle Pro AM 3-Gun, and the Ohio Police and Fire Games. He also donates time to multiple organizations ensuring that safety and comradery are a constant in the law enforcement community. Kevin is committed to maintaining his professionalism and proficiency as an instructor. He maintains his own skills and knowledge by being a dedicated student of firearms and tactics. Kevin always strives to learn current and relative skills and information to better himself and his students. 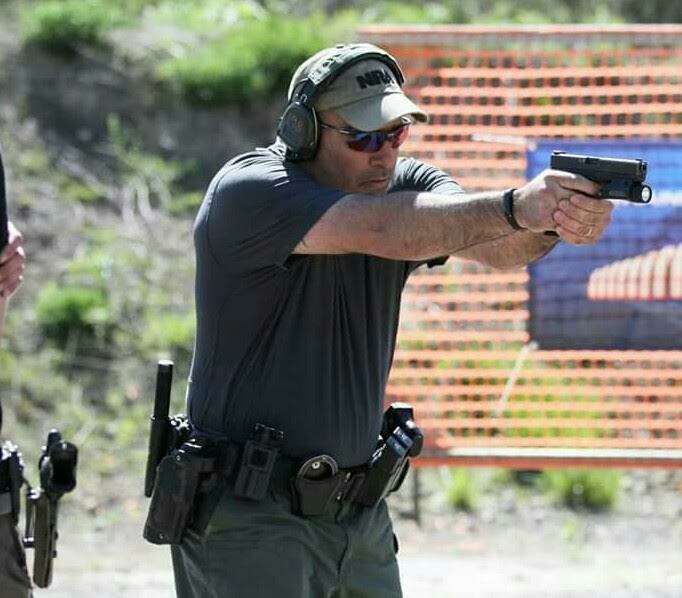 His skill sets have not only been leaned over his decades of military, law enforcement and competitive shooting experience, he has also gained a wealth of knowledge by training under some of the industry’s top firearms instructors, including but not limited to: John “Shrek” McPhee, Kyle Defoor, Ken Hackathorn, Larry Vickers, Steve “Yeti” Fisher, John Chappy Chapman, Dave Harrington, Chase Jenkins, and Will Petty. I have done a decent amount of training with Lampas Security Consulting, and have nothing but good things to say about it. Rich Hart is a true professional that knows his stuff and even more importantly knows how to convey it in a way that is easy to understand. From starting out to advanced techniques and tactics, he’s your guy. I will be taking more training in the future and I’m excited to learn everything he has to offer. Completed the pistol rehab course today, and it absolutely exceeded my expectations. Rich is a really great informative instructor, and Vinny was a huge help as well. They are both very patient and thorough, I can’t wait to take another course. Definitely worth every penny, would recommend it them to anyone I know wether they are an entry level shooter or an experienced veteran. Attended a VCQB course through Rich and a two day pistol / carbine course. Excellent training and good information to pass on. Nothing from April 18, 2019 to April 17, 2020.